Video from the wide-ranging half-hour interview shows Gazette co-owner Kevin Johnston quizzing Bernier on topics ranging from non-existent Muslim murder sprees to “social engineering,” even discussing ways to encourage “old stock Canadians” to have more babies. Mississauga’s Mayor has called Johnston a “proponent of hate.” His YouTube channel includes several videos describing Muslims as rapists. One video, showing Johnston at a chaotic school board meeting, was recently showcased on Ezra Levant’s Rebel Media. Although he fields several questions that veer into outlandish territory, Bernier doesn’t quite challenge the premise of the questions and often sounds like he’s twisting himself in a pretzel trying to strike a conciliatory tone. 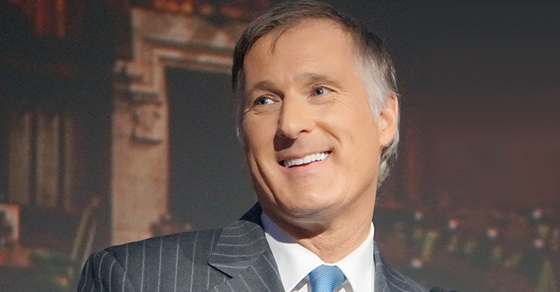 “We don’t want people to live in a ghetto,” Bernier adds. Fourth generation Canadians aren’t having enough babies? What does Bernier think? It’s worth noting, a few weeks after the interview, Bernier met with Peterson and vowed to “repeal” Canada’s human rights legislation protecting Canadians from discrimination by gender. So, what’s going on here? Is Bernier courting fringe elements on the far-right or is he too oblivious to recognize what he’s walking into? The graphic depicts Bernier as Morpheus, handing young Fildebrandt a red pill. My Matrix meme with @Dfildebrandt obviously refers only to the Matrix movie and to nothing else. "I was surprised you were giving this person so much time because they didn't know what they were talking about"
On Friday morning, Ontario PC leader Patrick Brown joined Newstalk 1010’s John Moore to discuss energy policy. Given sky high hydro rates and the Liberal government’s ongoing privatization of Hydro One, energy issues are front and centre in the province and could very well end up deciding the next election. But let’s just say Brown’s appearance didn’t exactly impress. 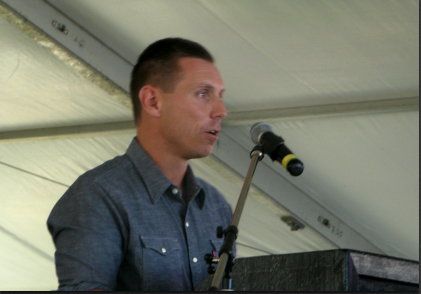 LISTEN-‘An unmitigated disaster’: Patrick Brown talked hydro with @MooreintheAM….